Diane Lachman's paintings are widely exhibited. She has had solo shows in Philadelphia, Bethesda, Maryland, and in Panama City, Panama. She has participated in many juried and invitational shows, most recently at the Old City Jewish Art Center in Philadelphia, Other Colors Gallery in Exton and The Art Trust in West Chester. Her solo exhibition, Color Conversations at Muse Gallery featured new paintings that explore color, line and form as a means of visual communication. 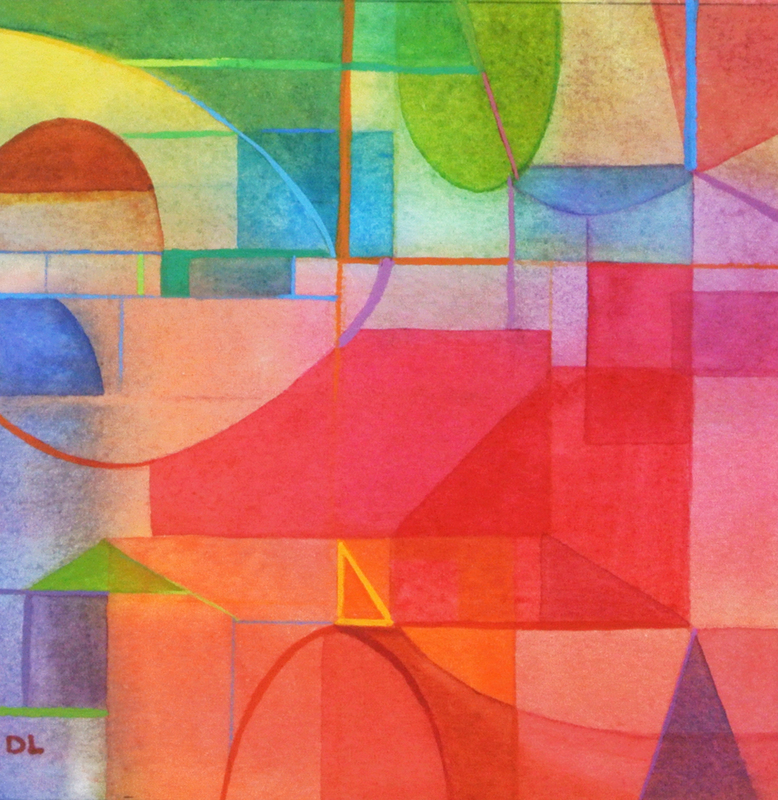 In watercolor and oil, she uses layers of paint to transform the surface into an image of vibrantly colored shapes and harmonious rhythms. Her intuitive approach complements her years of teaching color theory at Penn Design at the University of Pennsylvania where she earned her BFA and MFA. She is a member of the Muse Gallery in Philadelphia. Her paintings are represented in numerous private and corporate collections. Her work can be seen at www.dianelachman.com.